Depending on where you live, there’s a good chance you’ve already started experiencing the beginnings of the winter season. But regardless of your geographic location, the temperatures are only dropping lower and lower, and embracing the cold (whatever that means to you) often means bundling up in your warmest clothes. If you’ve already swaddled yourself in the coziest knit pieces and coats, finish off your winter ensemble with a pair of winter boots with fur. Whether you’re planning for the next Snowmaggedon or you have a ski trip in the books for your winter vacay, a pair of these seasonal boots will be sure to keep your feet warm on even the coldest of days without compromising your personal style—a win-win situation, if you ask us. Ready to start shopping? 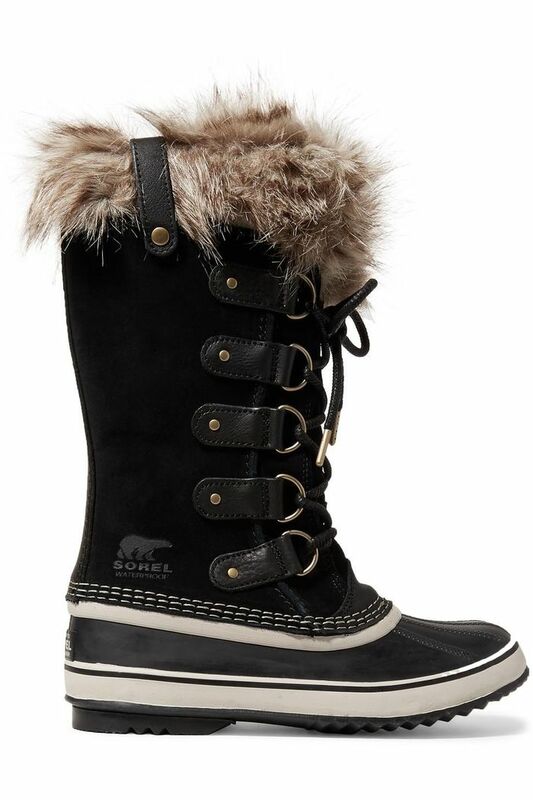 Below, we’ve pulled together our favorite furry winter boots that will get you through any level of cold this winter. You’ll thank us later. Wear these with a cool pair of jeans. These will get you through major snowstorms. Dress up your winter ensembles with these. Perfect for that morning commute. These will look so cute with a skirt and a pair of tights. You have to admit these are pretty chic. For the shoppers who love a pair of combat boots. Chunky snow shoes are coming back. Here's to staying warm in style this season.